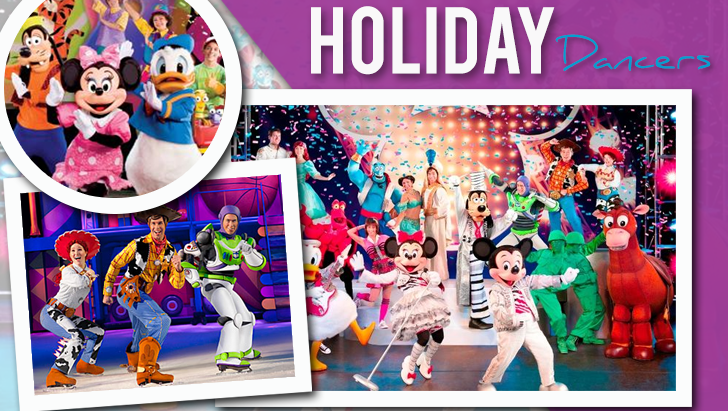 Walt Disney World Resort is prepping up for the holiday season this 2015, and casting directors are seeking male and female dancers of any ethnicity for the entertainment productions A Totally Tomorrowland Christmas! and Celebrate the Season. Selected talents must be at least 18 years of age and authorized to work in the United States. You must be willing to relocate to Florida, where you will be provided with housing benefits, for the whole duration of your contract, which will start in early October this year until the first of January 2016. Celebrate the Season is one of the resort’s classic Christmas shows, which is performed in front of the Cinderella Castle, and they want talents who have a musical theater dance technique. Men must be at least 5′ 8”–6′ 3” tall, while women applicants should stand the heights of 5′ 3”–5′ 7”. For the A Totally Tomorrowland Christmas!, they will need male dancers with the height of 5′ 7”–6′ 0”, and female talents who stand at 5′ 3”–5′ 6”. The show requires vigorous dancers who are experienced in jazz, hip-hop, and musical theater dancing. the A Totally Tomorrowland Christmas! is their newest energetic, interactive musical extravaganza, as they make futuristic rendition of holiday songs. If you are interested, you can audition on June 1, 2015, at 12:30 p.m.
Click on the ‘Apply for This Job’ for further details about the open call. (A Totally Tomorrowland Christmas!) Seeking high energy male dancers experienced in jazz, hip hop and musical theatre. Tumbling and step dancing a plus. (A Totally Tomorrowland Christmas!) Seeking high energy female dancers experienced in jazz, hip hop and musical theatre. Tumbling and step dancing a plus. (Celebrate the Season) Seeking male dancers with great technique and experienced in musical theatre style dance. (Celebrate the Season) Seeking female dancers with great technique and experienced in musical theatre style dance.